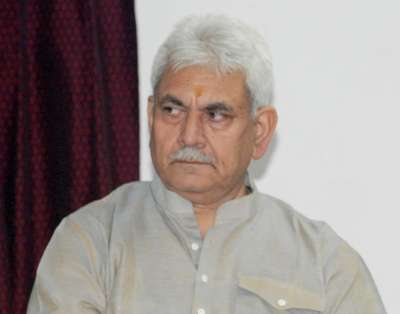 New Delhi, March 7 (IANS) Telecom Minister Manoj Sinha on Wednesday said although India is the second largest consumer of the Internet globally, more than two-thirds of the country&apos;s population is yet to be online. "Though we are the world&apos;s second largest consumer of the Internet, more than two-thirds of our population is yet to be online," Sinha said at the inauguration of the Convergence India 2018 expo here. The highlight at the expo included the packed speaking session on &apos;IoT Revolutionising India&apos;. The impact of technology on social change and empowerment was discussed during the session. "India lacks physical infrastructure such as roads, water, and development in cities. Technology enables us to overcome these difficulties and leapfrog such obstacles," said R.S. Sharma, Chairman, Telecom Regulatory Authority of India (TRAI). "Technology should be inculcated as an active medium for social transformation. Therefore, it needs to be ubiquitous and available. Regulatory and policy space has to change and has to embrace data driven algorithms," he added. In another session, N. Sivasailam, Additional Secretary (IT), Department of Telecommunications highlighted the scope of 5G technology in India. "We are working on conducting 5G trials with the support of large institutions who manufacture devices such as Nokia, Samsung, Ericsson to name a few," Sivasailam said. "5G is going to be a system of very simplified devices with a whole round of applications built on those simplified electronic devices," he added.